Every two years ITMA elects a country to host its congress. 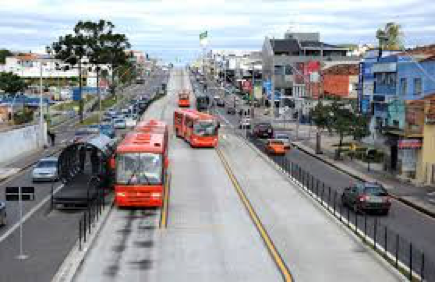 In 2018, Brazil hosted PhDs and researchers from more than ten countries (including United States, Japan, Canada, Sweden, China, Estonia, Argentina, Costa Rica, German and Brazil) in order to discuss about traffic in a global scope. 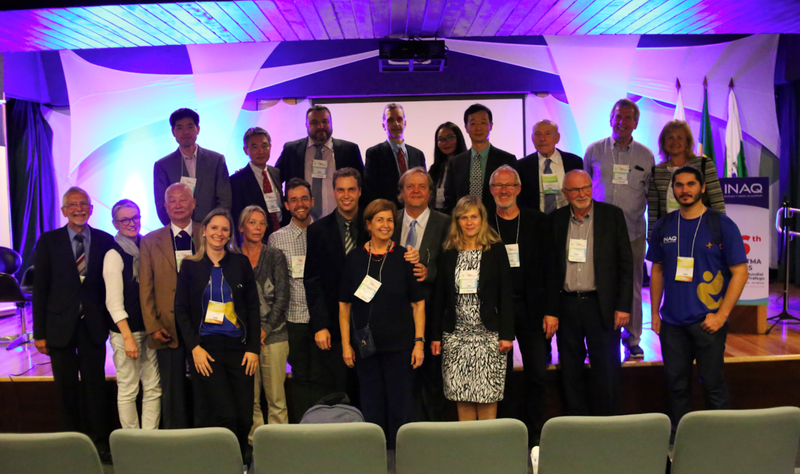 The 26th ITMA World Congress organized by INAQ, was held at Pontifícia Universidade Católica do Paraná – PUCPR, in Curitiba, from October 30 to November 1.The congress debated issues on medical specialties and other fields of expertise such as Psychology, Engineer, Law, Road Safety, Education and Public Administration, aiming to find measures to decrease the number of deaths and consequences of road accidents. 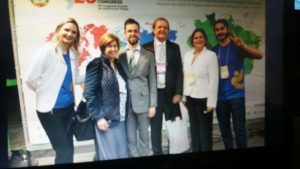 The organization of the 26th ITMA CONGRESS had the Company INAQ – AVALIAÇÃO E GESTÃO DE QUALIDADE (INAQ – Quality Assessment and Management) of the city of Curitiba, Brazil. Organizer Psychologist Paula Herbst, Dr. Ana Maria Szymanski, Medical Student Carlos Szymanski, ITMA President Dr. Jack Szymanski, Organizer Psychologist Maria Elaine Andrade Celeira and Organizer Bruno Celeira. Thank you for your beautiful work, professionalism and friendliness. The pre-congress activities consisted in three workshops and oral presentations of scientific papers. The workshops themes were “Cardiovascular evaluation on physical and mental fitness to drive”, “Pre-hospital care in Curitiba: ‘From prevention to care’” and “Elderly driving behavior: How to evaluate it? An expert approach”. 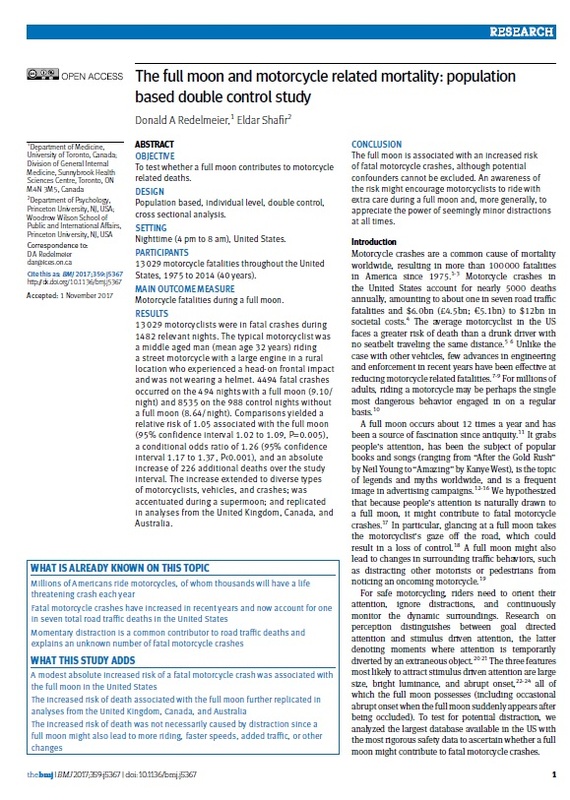 The first oral presentation of scientific papers about Epidemiology, Physiology, Medicine and Public Health was about the paper “Analysis of the number of traffic accidents related to work by economic activity in Brazil, 2010 to 2016”, following “Epidemiological analysis of the profile of traffic accidents related to work in Brazil, 2009 to 2016”, “Epidemiological study on the occurrence of traffic accidents by Brazilian region, 2007 to 2016.”, “Improving timeliness and accuracy of data on road traffic injury severity in an emerging economy setting.” and also “Traffic accidents: prevalence neurologic trauma associated conditions”. The third session, themed, Engineering, Management and Safety gave space to the papers: “Brazilian road safety legislation: review and analysis 1998 – 2017”, “Electronic inspection influence over the motorcyclists mortality in the city of Campina Grande, state of Paraíba”, “Hybrid vehicles safety ranking by use of a multicriteria analysis method”, “Land transport accidents related to work in Goiás, 2010 to 2017”, “Prediction of injury in traffic accidents using Machine Learning techniques”, “Prevalence of accidents with motorcycles and intake of alcohol in the city of Campina Grande, state of Paraíba”, “Traffic crashes and precipitation relationship obtained by multivariate analysis”, which was elected by examiners as the best paper, and “Evaluation of pedestrian crossing at a signalized intersection using microsimulation”. After the memorable overture with the presence of the Paraná Military Police band that played famous traditional Brazilian music, the Congress began with many presentations. The Session 1, entitled Mortality in traffic – problems and challenges, counted as speakers: Dr. Leonard Evans – ITMA Emeritus President, representative from United States who discussed about “Deaths in road traffic – a grossly underemphasized public health problem” and Dr. Diva Eensoo, ITMA Eastern Europe Director – representative from Estonia who discussed about “Traffic Prevention, New Challenges.”. In the Session 2, entitled Data and Improvements, Dr. Zheng-guo Wang – ITMA Past President – China, gave a speech on the “Road traffic transportation safety development report China”, and Dr. Ulf Björnstig – ITMA Western Europe Director – Sweden, talked about “What happened – 20 years with Vision Zero.” During Session 3, entitled Technology and Advanced Assistance Systems Coordinated by Dr. Jack Szymanski, ITMA President, Dr. Jihong Zhou, ITMA Eastern Asia Director – China, presented the speech about “Autonomous driving and traffic safety”. Dr. Lars Englund, ITMA Immediate past president – Sweden, explored the theme “Could automatic driver assistance systems (ADAS) be the solution for persons with medical deficiencies to be able to drive again?”. Session 4 showed discussions about Preventing traffic disasters. Prof. Dr. Rafael Malagoli Rocha, biologist – postdoctoral at the University of Hamburg (Germany), Specialist in toxicology and molecular oncology. LABET – toxicology tests, spoke about “Toxicology hair tests in Brazil: our technical and epidemiological experience” and Dr. Alberto Silveira, ITMA South America Director – Argentina, talked about the activities developed by “Luchemos por la Vida – A non-profit organization that works to prevent traffic incidents in Argentina”. Session 5 entitled Medical Proposals for Prevention presented the speech of Drs. Masahito Hitosugi, ITMA Northeastern Asia Director – Japan, talking about “How to support safety driving for drivers with brain damage post stroke in Japan” and also of Dr. Donald Redelmeier, ITMA North America Director – Canada, who talked about “Actions Against Drunk Driving – strategies proposed for physicians to help their patients to prevent drunk driving “. Session 6 themed Driver Medical Assessment presented Dr. Egas Caparelli Moniz de Aragão Dáquer, Physician and Professor – Brazil, who spoke about “Cognitive driving evaluation”, and Dr. Enrique González Araya, from the Traffic Medicine Committee of the School of Doctors and Surgeons from Costa Rica, who presented the “Unique electronic system for the medical fitness to drive, a successful tool in Costa Rica”. The second day of Congress began with the Session 1, entitled “Trauma care services, and hospital costs”, which included the presentations of Dr. Mariana da Matta, Emergency physician in private hospitals and SUS, Rio de Janeiro, who talked about “Traffic collisions and its relation with the use of amphetamines by professional drivers, despite the prohibition (production, prescription and use) in Brazil”, Márcio Roberto Muniz, Nurse assistant at SIATE, who talked about “SIATE Curitiba – 28 years of pre-hospital care”, Dr. Juliano Gasparetto, Hospital Cajuru Technical Director – Brazil, explained about “The impact of traffic accident on hospital costs”. In Session 2, entitled Risk situation in vehicle direction, Dr. Ricardo Froés Camarão, CFM Representative – Brazil spoke about “The influence of traffic collisions on the physical and psychological morbidity”. Dr. Sérgio Barros Vieira, Pneumologist and Specialist in sleep medicine, spoke about “Sleep Medicine – its role in fatigue management – 18 years of experience” and Dr. José Francisco Kerr Saraiva, SOCESP President – Society of Cardiology of the State of São Paulo, spoke about “Portadores de Dispositivos Cardíacos Eletrônicos Implantáveis (DCEI – marcapassos, ressincronizadores e cardio desfibriladores) e Arritmias Cardíacas: situações de risco na direção veicular” (Carriers of pacemaker or implantable cardiac electronic devices (ICED) and Cardiac Arrhythmias: risk situations in driving). Session 3, entitle Research and prevenions possibilities, was coordinated by Dr. Luiz Carlos Sobania, Physician creator of Curitiba’s Pre-hospital System, Member of Comissão de Políticas Médicas da SBOT (SBOT Medical Policies Commission) and Traumatology and Ortopedy Professor. 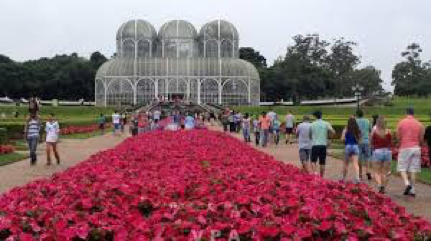 At 11h30am – Dr. Washington Luiz Esteves Magalhães, Embrapa Florestas Researcher – Brazil, Possibilidade do uso da nanocelulose vegetal no tratamento de queimaduras causadas por acidente de trânsito (Vegetable nanocellulose in the treatment of burns caused by traffic accidents). At 11h50am, Rodolfo Alberto Rizzotto, SOS Estradas – Road Safety Programme coordinator and author of the study “As drogas e os Motoristas Profissionais” (Drugs and professional drivers), explained about “O exame toxicológico como política de prevenção ao uso de drogas por motoristas – os casos do Brasil e EUA” (Hair testing as a policy to prevent drug use by drivers – the cases of Brazil and USA). At 12h10pm, João Pedro Bazzo Vieira, Environmental Engineer – Cicloiguaçu Study Coordinator – Brazil explained the “Desenvolvimento em âmbito local de infraestruturas que reduzam o risco de colisões e mortes de ciclistas” (Local development of facilities that decrease the risk of collision and death of cyclsts). After lunch time and during the entire afternoon, attendees participated in an interactive presentation of drunk busters Googles by Memorial de Segurança no Transporte, leaded by Mr. João Muller from Viking Association. Session 4 – Traffic Law was the theme of this session, coordinated by Danilo Oliveira da Silva, from Pró Saúde. 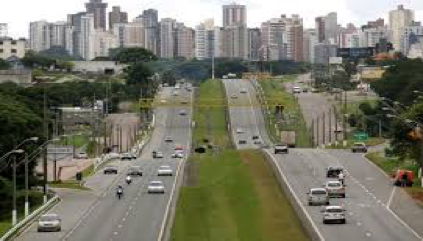 At 1h30pm, Rochane Ponzi, , Comissão Especial de Trânsito (Special Traffic Commission) from OAB-RS – Brazil, talked about “A prova acusatória nas infrações por embriaguez no volante” (The accusatory evidence on drunk driving violations). 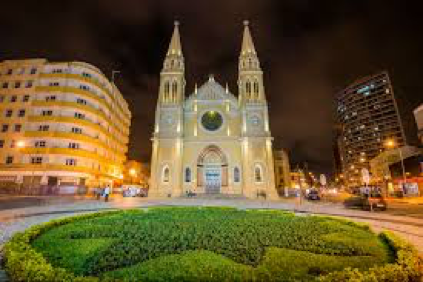 At 1h50pm, Marcio Dias, from Comissão de Direito de Trânsito (Comission on Traffic Law) – OAB-RJ – Brazil, explained about “DPVAT – os procedimentos de indenização, número de mortes, motivos de negativa, a importância dos laudos médicos” (DPVAT – damages procedures, number of deaths, reasons for denail, the importance of medical statement), at 2h20pm, Luiz Otávio Maciel Miranda Advisor at DETRAN/PA – Brazil presented his thesis on “Instrumentos jurídicos das Nações Unidas sobre segurança viária e a importância da adesão dos países a esses instrumentos” (UN legal instruments on road safety and the importance of the accession of countries to these instruments). At the end of the speech, Dr. Luiz Otávio Maciel Miranda asked permission from the organzers before gifting Dr. Enrique Arrayas, from Costa Rica, a copy of the United Nations Vienna Convention on Road Traffic, 1968. The Convention was published by UN’s Economic Commission for Europe (UNECE), and signed in November 8, 1968, turning 50 years in 2018. He emphasized the role played by Costa Rica on ratifying the text and becoming Part at the accord, alongside Brazil, Guyana, Peru, Uruguay and 73 other countries that have acceded to the Convention. Session 5 – Non-governmental entities commited to traffic safety, was the topic of this session, coordinated by Master and Psychologist specialist in traffic Maria Elaine Andrade Celeira de Lima, INAQ Director, who spoke about activities performed by her company in behalf of education and traffic quality. The session started at 2h50pm and counted with participation of Mrs. Anaelse Oliveira coordinator of the Programa Volvo de Segurança no Trânsito who apoke about “O compromisso da iniciativa privada para a segurança viária” (Private sector commitment for traffic safety) and of Mr. Fernando Diniz, Engineer and President of the NGO Trânsito Amigo, who spoke about his work to increase awareness for traffic safety. Session 6, Coordinated by J. Pedro Corrêa, Consultant in Traffic safety programs, was entitled Traffic education as a behavior change promoter. It started at 4pm – Tânia Mascarenhas from Comissão Estadual Intersetorial de Prevenção de Acidentes e Segurança no Trânsito (State intersectorial Commission for accidents prevention and traffic safety) – Brazil, “Projeto Vida no Trânsito” (Life in Traffic Project); at 4h20pm, Alessandra Bianchi from Conselho Regional de Psicologia (Regional Council of Psychology) – Brazil “Entre o saber e o fazer: desafios para a compreensão sobre o comportamento do condutor” (Between to know and to do: Challenges to the understanding about driver behavior) and at 4h40pm, Êrica Nickel Traffic specialist and Master of Education – Brazil, spoke about “Educação urbana: desenvolvendo pessoas para cidades inteligentes” (Urban education: developing people for smart cities). 225 people attended 26TH ITMA WORLD CONGRESS, including attendees, speakers, supporters, booth exhibitors and guests. In addition to researchers coming from Europe, Asia and North America, experts in road safety throughout the country were also present. Registration was opened to the general public, admitting registration from different fields of expertise and a multidisciplinary debate. 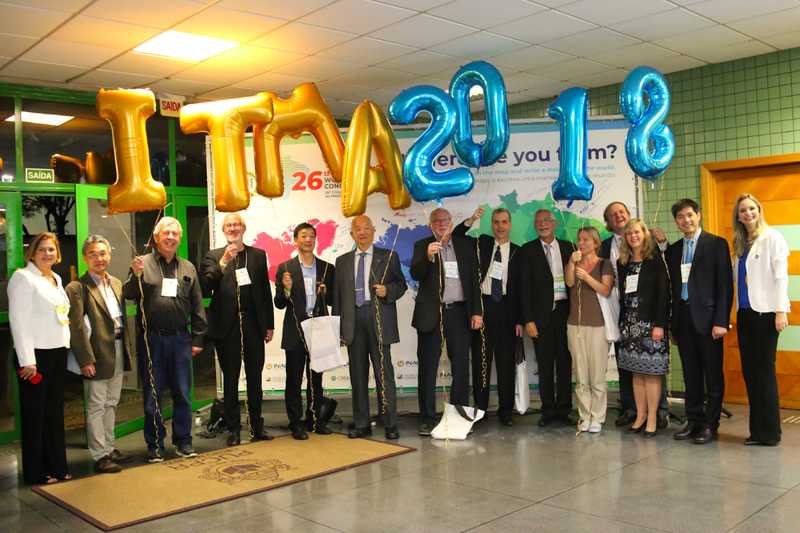 Therefore, 26TH ITMA WORLD CONGRESS counted with the participation of physicians, psychologists, engineers, lawyers, nurses, rescuers, firefighters, military policemen, road safety technicians, teachers and public and private administrators.